Panel: Taking global health work from silos to systems: How might we align incentives across sectors? Innovations are transforming the way healthcare is delivered, but half of the world's population still doesn't have access to the essential health services they need. 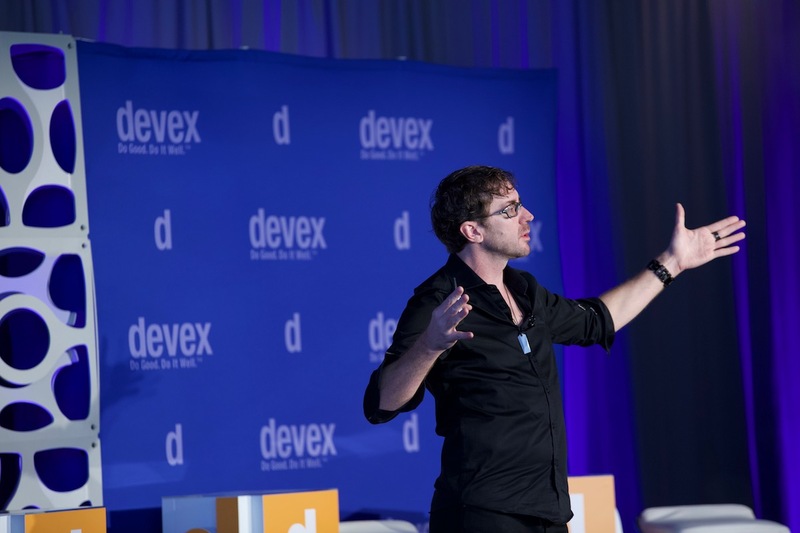 At Devex, we focus on the global development community, and our coverage includes efforts to leverage the technological and financial capability of Silicon Valley to advance global health. 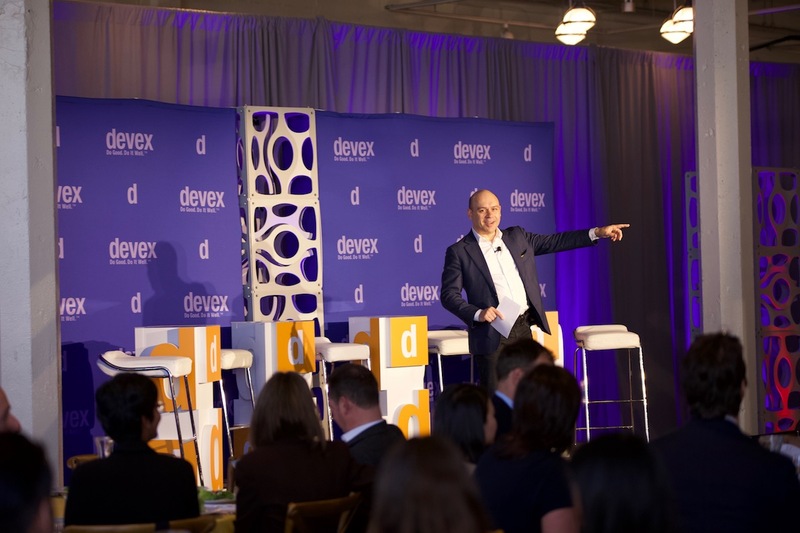 This October, Devex was pleased to present our first Bay Area event designed to address the practical hurdles associated with bringing global health innovations to scale and strengthening health systems. The event kicked off with a seated lunch at noon and was followed by engaging panel discussions and interactive sessions pointing to what's working and how to scale it up. The half-day event convened over 100 influential stakeholders including researchers, technologists, investors, donors, NGO leaders, and more. Together, they dove deeper into the root of issues such as how to make global health innovations scalable and how to generate investment in health systems. With the event, we hope to provide a platform for a range of actors to explore and form the kinds of partnerships needed to bridge the divide between health innovations in Silicon Valley and health needs globally. 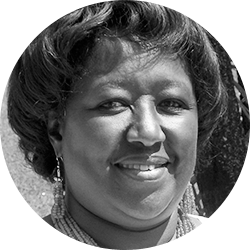 Professor Agnes Binagwaho, MD, M(Ped), PhD, is a Rwandan pediatrician and Vice Chancellor of the University of Global Health Equity. For 20 years, she contributed to reshaping the health sector in Rwanda through innovation and served in high-level government positions, including five years as Minister of Health. Professor Agnes Binagwaho is a Rwandan pediatrician who completed her MD in General Medicine at the Universite Libre de Bruxelles and her MA in Pediatrics MA at the Universite de Bretagne Occidentale. She returned to Rwanda in 1996. She was awarded an Honorary Doctor of Science from Dartmouth College and earned a Doctorate of Philosophy from the University of Rwanda College of Business and Economics, with her PhD Dissertation titled “Children’s Right to Health in the Context of the HIV Epidemic”. 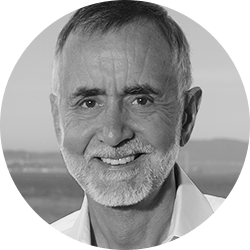 Chuck Slaughter is the founder of TravelSmith and Living Goods. 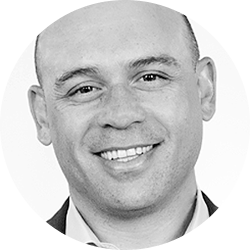 He's also the managing Director of The Horace W. Goldsmith Foundation and a Senior Advisor to TPG’s Rise Fund, a $2 billion impact investing platform. Chuck earned a BA and Masters in Public and Private Management from Yale. In 1991 he founded TravelSmith, a leading travel gear company, and grew it to over $100 million in catalog and online sales. 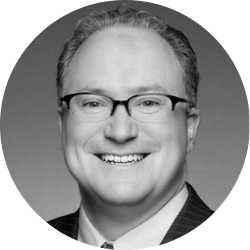 As a private equity investor, he has participated in the acquisition of over $2 billion in consumer businesses. He's the receiver of a Skoll Award, an Ernst and Young Entrepreneur of the Year Award, a Draper Richards Fellowship, and is a World Economic Forum Social Entrepreneur of the Year. 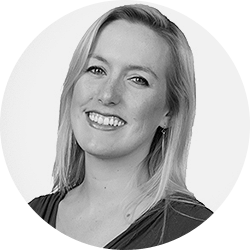 Brittany leads global health partnerships for Zipline International, a Silicon Valley-based startup that designs, manufactures, and operates drones to deliver essential medical products in areas with challenging terrain and road infrastructure. In this role, she creates opportunities for governments, foundations, corporations, and development agencies to collaborate to achieve shared goals of improved health access and quality. Zipline’s mission is to ensure that all health workers have access to the routine and emergency health products they need to care for their patients, whenever and wherever needed. Prior to Zipline, Brittany worked at the intersection of business, global health, and entrepreneurship in roles at the Skoll Foundation, the Draper Richards Kaplan Foundation, Johnson & Johnson, and McKinsey & Company. 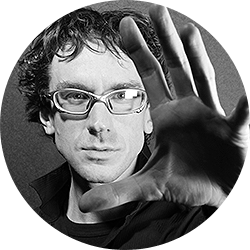 Pablos is a notorious hacker, inventor, entrepreneur and technology futurist who thinks differently to solve the world’s biggest problems by inventing new technology. At The Intellectual Ventures Lab, he has worked on a brain surgery tool, a machine to suppress hurricanes, 3D food printers, and a laser that can shoot down mosquitos – part of an impact invention effort to eradicate malaria with Bill Gates. Previously, Pablos helped build spaceships with Jeff Bezos at Blue Origin; the world’s smallest PC; 3D printers at Makerbot; artificial intelligence agent systems; and the Hackerbot, a robot that can steal passwords on a Wi-Fi network. As Executive Director, Dr Jayasree K. Iyer leads the strategic direction and stakeholder engagement of the Access to Medicine Foundation. She directs the research programmes for the Antimicrobial Resistance Benchmark, the Access to Medicine Index, the Access to Vaccines Index and specific studies into priority health topics, such as the ”Improving access to cancer care” report. Jayasree holds various postgraduate degrees (Masters and PhD) from Singapore and the John Hopkins School of Hygiene and Public Health. She has written many technical and research reports, book chapters and reviews, along with strategy papers for medicines for developing countries and solutions for neglected tropical diseases. 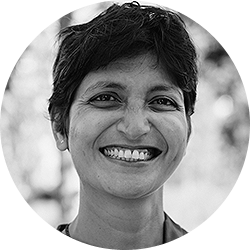 Before joining the Foundation, Jayasree spent four years managing a portfolio of more than 25 public private partnerships between the Dutch government and the pharmaceutical industry, totalling a research budget of €150 million. These partnerships addressed cancer, immunology and neglected diseases. She has worked for various non-government organisations, academic institutions and was part of the founding team of a diagnostic service company in the US. Dykki Settle joined the Digital Health team in June 2015. He seeks to bridge the gap between global health and how users learn and adopt information and communication technology (ICT), focusing on technical strategy development, overseeing project implementations, and solution assessment. Most recently, Settle served as the Director of Health Workforce Informatics at IntraHealth International. In that role, he led the design, development, and implementations of the iHRIS Suite of opensource health workforce information system software, the mHero health workforce mobile communications and coordination platform and other tools that are now being rolled out in global, regional and country programs worldwide. Mr. Settle has provided technical leadership in bringing together stakeholders focusing on health workforce information systems and ICT applications in developing countries, utilizing his open-source experience and expertise to support a global agenda in health technologies and approaches. He has led and supported global health informatics work around the world in more than twenty-five countries. 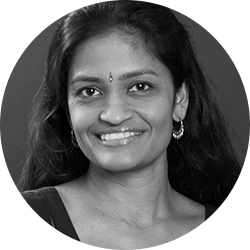 Nithya Ramanathan is the Chief Executive Officer and Co-founder of Nexleaf Analytics, a non-profit organization dedicated to preserving human life and protecting our planet by designing sensor technologies, generating data analytics, and advocating for data-driven solutions to global challenges. Nexleaf focuses on serving low-income countries by protecting temperature-sensitive vaccines for newborns, reducing air pollution through incentivizing adoption of cleaner cooking practices, and increasing the livelihood of smallholder farmers by protecting produce from spoilage. With Project Surya partners, Nithya leads StoveTrace, an innovative approach to monitoring improved cookstoves and using cutting-edge climate science to increase clean energy access in the developing world. Nexleaf’s immunization platform, ColdTrace, developed with the Bill & Melinda Gates Foundation, Google.org, Gavi, Ministries of Health and NGO partners, currently protects the vaccine supply for over 12 million babies born each year. 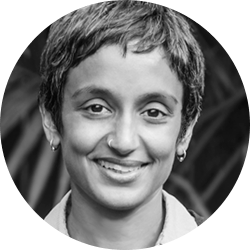 Hema Budaraju is the Product Lead for Health at Facebook, where she leads a team focused on helping communities improve global health outcomes. As part of this role, she recently launched a Blood Donations feature on Facebook in October 2017 in India, to make it easier for people to donate blood and help address the shortage of safe blood. It has now expanded to Bangladesh, Pakistan and Brazil and there are more than 20 million blood donors signed up on Facebook. Before health, Hema was the Head of Product for Facebook Events and Emerging Verticals, and helped grow Facebook Events to over 700 million people a month to create, discover, and share events posted on Facebook. Dan founded Spring Impact based on his experiences working across a range of social sector organisations, and his frustration on seeing great ideas not scaling up. 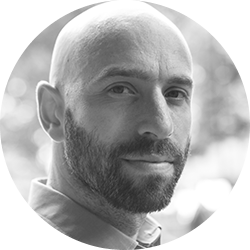 With Spring Impact, Dan has developed scale strategies and implementation plans with over 100 organisations ranging from Hewlett Foundation to PSI and Oxfam to a number of leading social businesses. Dan has led multiple research projects in global health including researching scale of primary care in the developing world working alongside GSK, Gates Foundation, Merck, Save the Children and others. Spring Impact provides non-financial support to the winners of the GSK, Save the Children health innovation award each year and has a multi-year partnership with Hewlett Foundation and MSI in Zambia to scale up the Diva Centres. 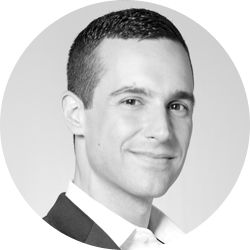 Dan is a Young Global Leader at the World Economic Forum, a Clore Social Leadership Fellow and a Rothschild Fellow at the Cambridge Judge Business School. He graduated from the University of Nottingham and the Harvard Kennedy School’s Global Leadership and Public Policy Executive Program. He recently relocated from London to San Francisco to continue building Spring Impact. Emily Bancroft is a global leader in systems change, dedicated to transforming access to quality health care in low- and middle-income countries. She sets the vision for how VillageReach works with governments to solve health care delivery challenges in low-resource communities. Emily is recognized for her expertise in the areas of in-country supply chain, health workforce development, and digital health technologies. 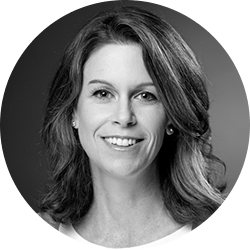 Emily has been instrumental in VillageReach’s growth since 2010, first serving as Director of the organization’s Health Systems Group before she became Vice President in 2015 and was appointed President in 2017. 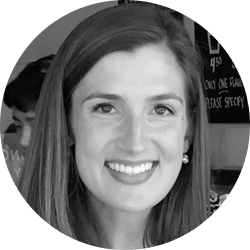 In these previous roles, Emily led the integration of VillageReach’s work into global strategies and policies to ensure that new vaccines and essential medicines reach those at the last mile and helped to develop and launch some of VillageReach’s high impact digital health initiatives. 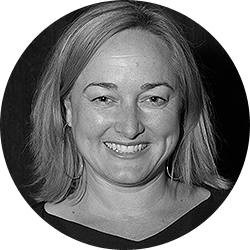 Gabrielle Fitzgerald is a global leader who believes that innovative approaches and catalytic coalitions are needed to solve the most challenging issues. Her focus is on designing and driving strategies that measurably impact people, organizations and countries. Gabrielle is the founder and CEO of Panorama, an action tank dedicated to helping ambitious leaders solve global problems. For more than two decades, she has led teams and collaborated with partners to spark global change. Prior to founding Panorama, she directed the $100 million Ebola Program at the Paul G. Allen Family Foundation, investing in creative approaches to combat the Ebola outbreak in West Africa. 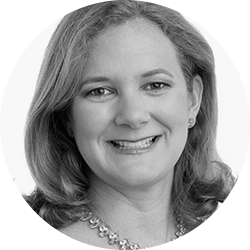 Gabrielle previously served as the director of Global Program Advocacy at the Bill & Melinda Gates Foundation, leading the team that advanced policy and advocacy agendas for the organization’s global issues. Dr. Lawrence “Larry” Brilliant is the author of Sometimes Brilliant: The Impossible Adventures of a Spiritual Seeker and Visionary Physician Who Helped Conquer the Worst Disease in History. He currently serves as the Chairman of the Board of Ending Pandemics, a nonprofit organization based in Silicon Valley that is working to prevent epidemics on six continents. 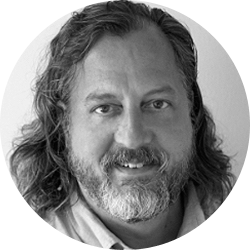 Larry also serves on the boards of Skoll Foundation, Salesforce Foundation, The Seva Foundation, and Dharma Platform. He previously served as President and CEO of Skoll Global Threats Fund, as Vice President at Google, and as a founding Executive Director of Google.org. 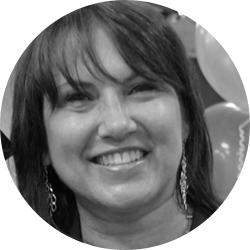 Lisa is Senior Advisor to the planning team of the Bay Area Global Health Alliance. She most recently served as Program Manager, Global Public Policy for Facebook, where she led a global team responsible for developing partnerships to demonstrate the value of Facebook to advance health, small business growth, job creation and digital skills. In that capacity, Lisa was instrumental in creating and launching the Health Products team as a part of Facebook’s Social Good initiatives. Previously, Lisa was Senior Director, Corporate Responsibility at Pfizer where she led the design and development of Pfizer’s signature global partnerships in HIV/AIDS, malaria, neglected tropical diseases, oncology, disaster relief, and skills-based corporate volunteering. Prior to joining Pfizer, Lisa served as Program Director for Population Services International where she launched one of the first insecticide-treated mosquito net social marketing programs on the African continent. This innovation is now fully integrated as a mainstream public health intervention across dozens of developing countries today. Lisa holds an M.B.A. from Northwestern University’s Kellogg Graduate School of Management and a B.A. in International Relations from Connecticut College. From 2002 to 2007, Sir Richard served as founding Executive Director of the Global Fund to Fight AIDS, Tuberculosis and Malaria and Under Secretary General of the United Nations. From 1995 until 1999, Dr. Feachem was Director for Health, Nutrition and Population at the World Bank. Previously (1989-1995), he was Dean of the London School of Hygiene and Tropical Medicine. 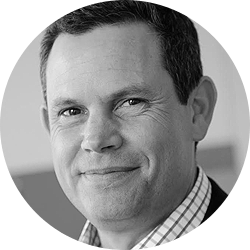 Professor Feachem holds a Doctor of Science in Medicine from the University of London, and a PhD in Environmental Health from the University of New South Wales. Sir Richard was knighted by Her Majesty Queen Elizabeth II in 2007. He's also the Director of the Global Health Group at the University of California San Francisco (UCSF) Institute for Global Health Sciences and Professor of Global Health at both UCSF and the University of California, Berkeley. Hina Arora is a Clinical Assistant Professor and Director of Experiential Analytics in the W.P. Carey School of Business at Arizona State University (ASU). 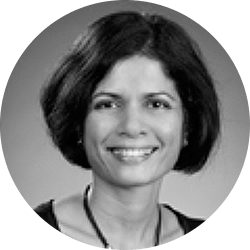 Prior to joining ASU, Ms. Arora was a Group Manager at Microsoft, where she led analytics teams in the Windows Services Division and the U.S. Central Marketing Organization. She has also held software development positions at IBM and Cognizant, and worked as a Research Scientist at the Center for Excellence in Document Analysis and Recognition at SUNY Buffalo. Ms. Arora has a PhD in Information Systems, a Masters’ degree in Electronics Engineering, and an Undergraduate degree in Physics. 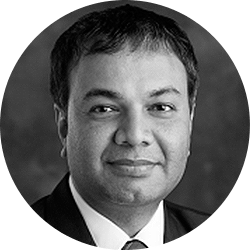 Prashant Yadav is Strategy Leader-Supply Chain at the Bill & Melinda Gates Foundation and a Visiting Scholar at Harvard Medical School. Yadav’s research and policy advisory work focuses on health care supply chains in developing countries. He also works on role of new technology in pharmaceutical supply chains, globally. He is the author of many peer reviewed scientific publications and his work has been featured in prominent print and broadcast media including The Economist, The Financial Times, Nature, and BBC. Prashant serves on the advisory boards of many global organizations and has been invited for expert testimony in the US Congress and legislative bodies in other countries on the issue of medicine supply chains. Before his current role, Yadav was Vice President of Healthcare at the William Davidson Institute at the University of Michigan and a faculty member at the Ross School of Business at the University of Michigan. Before that he was Professor of Supply Chain Management at the MIT-Zaragoza International Logistics Program and a Research Affiliate at the MIT Center for Transportation and Logistics. 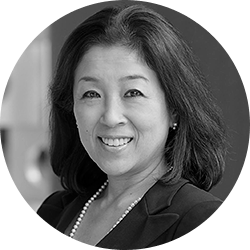 Keiko Honda is Executive Vice President and Chief Executive Officer of the Multilateral Investment Guarantee Agency (MIGA), the political risk insurance and credit enhancement arm of the World Bank Group. Honda works to further the World Bank Group’s mission of ending extreme poverty and boosting shared prosperity. To that end, MIGA’s portfolio supports investments in regions where capital is most scarce. MIGA is now the leading political risk insurance provider in fragile and conflict affected countries. ené Berger is a global health, supply chain, and HIV/AIDS expert with more than 25 years of international development experience across sub-Saharan Africa. He currently serves as senior vice president at Chemonics and the IDIQ director for the USAID Global Health and Supply Chain Program – Procurement and Supply Management (GHSC-PSM) project and IDIQ director for the Global Health Supply Chain (GHSC) – Technical Assistance (TA) Multiple Award contract. Previously, he served as a director on the Human Resources for Health in 2030 (HRH2030) program. Mr. Berger has also managed the USAID HIV/AIDS offices and teams in Kenya, Tanzania, and Zambia, including assisting in the design of USAID’s largest local contract globally – the Kenya Medical Supplies Authority (KEMSA) supply chain contract. Mr. Berger has designed and overseen integrated services across USAID’s health, population, and nutrition portfolios and has managed PEPFAR-funded activities and led the design and submission of annual country operational plans to achieve control the HIV/AIDS epidemic. Mr. Berger holds a bachelor’s in biology from the University of California, Santa Cruz and a master’s in public health from Johns Hopkins University. Wendy Schultz-Henry is President and CEO of InSTEDD, an innovation and design non-profit that provides support for partners to implement technologies for social impact. InSTEDD specializes in last mile innovation for humanitarian purposes in the areas of health, crisis response and global development. InSTEDD utilizes a rigorous needs assessment and Human Centered Design process to build solutions for local and global challenges. InSTEDD is committed to making the technologies developed available for use as Open Source so that they can evolve and benefit from the inputs and contributions of the communities and projects around the world in which they are used. InSTEDD works in close collaboration with impact driven local partners, large NGOs, private sector and governments. InSTEDD is a co-founder and contributor to the OpenHIE Global Community of Practice. Wendy was recruited to join InSTEDD in 2006 to provide a business perspective to InSTEDD’s social impact mission. She brought with her 25 years of experience in the private sector and a passion for program design and execution strategy. She began her career working as a member of the Digital Equipment Corporation Systems Research Center team responsible for the development of the then state of the art super mini computer. In 1991 she began working in the venture capital niche sector of turnaround management where she honed her skills in a volatile IPO market. While working in the venture capital sector Wendy created a business focused on bringing operations functions to small businesses and start-ups with a social goal of building capacity to support at-risk youth and women. 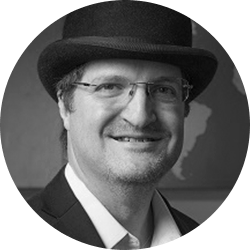 Jonathan Stambolis is the Co-Founder and CEO of Zenysis Technologies, which has developed a rapid interoperability and advanced analytics solution that helps developing countries deliver their healthcare in a truly data-driven way. Previously, Jonathan represented Australia at the United Nations in New York with responsibility for global health, humanitarian affairs and development. During this time, Jonathan negotiated the groundbreaking 2011 United Nations Political Declaration for HIV/AIDS and served as an Adviser on Global Health to former UN Secretary-General Ban Ki-moon. 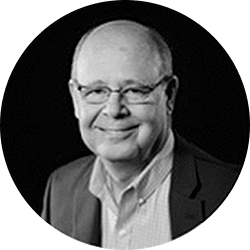 Gene Trousil joined One Network in 2004 and is responsible for network operations, professional services, re-seller/value-added reseller channels, and the Devices Division, which markets One Network’s mobile and handheld computer solutions. 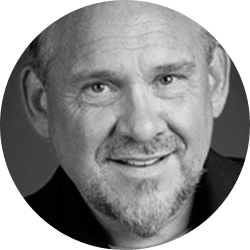 With more than 35 years of experience, Mr. Trousil has managed successful enterprise-class system deployments in large scale operations. In addition, he has deep experience in mobile computing applications. Recently, he was elected as CEO of Vitalliance Corporation, a joint venture between One Network Enterprises and Imperial Logistics, the largest provider of logistics services in sub-Saharan Africa. The goal of Vitalliance is to better serve the logistics in Africa by combining public and commercial sectors to lower cost for in-country medical and humanitarian last mile services and to transfer the technology whenever possible to local control. 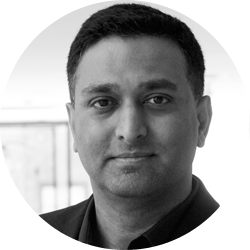 Raj Kumar leads a global team of over 100 Devexers and serves a community of 1 million global development professionals. His personal experience in over 50 countries, including a childhood partly spent in rural India, informs his work. 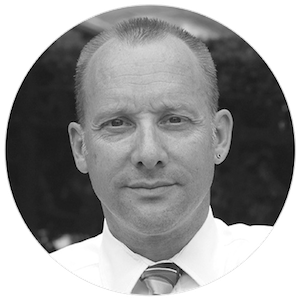 Tim Wood has more than 30 years of experience as an executive, program manager, and senior supply chain strategist within the healthcare, aerospace and defense, high technology, consumer products, industrial products, and pharmaceutical industries. Mr. Wood leads the IBM Public Sector Supply Chain Management practice, specializing in applying leading supply chain concepts in a practical approach to deliver tangible improvements in accelerated timeframes. Previously, he served as the Global Supply Chain Director for the USAID Procurement and Supply Management (PSM) program from September 2017 through June 2018. In addition to leading the IBM Public Sector Supply Chain practice with more than 600 practitioners, Mr. Wood has also managed the design and implementation of a world-class production system for a Fortune 100 pharmaceutical company.